Appellation or Vine Custoza D.O.C. 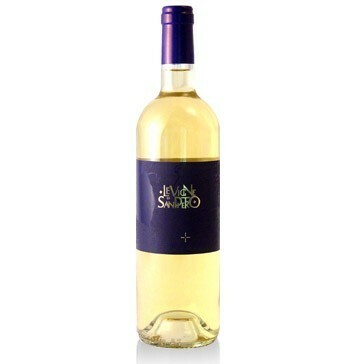 Fruity and aromatic white wine which derives from a mix of five wines produced from handpicked grapes that are fermented and left to mature in steel. It has a great ageing capacity. Its bouquet is large and it is persistent when in the mouth, the finale is clean and pleasantly bitter. Carlo Nerozzi, architect and entrepreneur, has been producing DOC wines since the 80s, using the grapes from his own vineyards raised on the moraine hills south of Lake Garda. About ten hectares with dense and well-maintained plants to give the wines personality, character and longevity without taking out pleasure and balance from drinking. The land is not tilled and the grass in the vineyards is mechanically maintained, without the use of any commercial herbicides. Green manure is used to enrich the soil and increase biodiversity. Grapes are picked by hand, collected in small cases and addressed after cooling within a few hours from the harvest. The company is a point of reference in its area and its wines have received countless awards over the years. Its pleasant aroma, makes it suitable with hors d’oeuvres and fish plates as well as vegetables, meat and fresh cheese. It must be served at 12°C in a medium sized transparent crystal glass. This wine should be conserved in a dark and cool place. It should be placed horizontally and it can last over 3 years with an interesting evolution.